Become an expert in data analytics using the R programming language in this data science certification training course. You’ll master data exploration, data visualization, predictive analytics and descriptive analytics techniques with the R language. With this data science course, you’ll get hands-on practice by implementing various real-life, industry-based projects in the domains of healthcare, retail, insurance, and many more. Why Should I Learn Data Science with R from Simplilearn? The Data Science Certification with R has been designed to give you in-depth knowledge of the various data analytics techniques that can be performed using R. The data science course is packed with real-life projects and case studies. Mastering R language: The data science course provides an in-depth understanding of the R language, R-studio, and R packages. You will learn the various types of apply functions including DPYR, gain an understanding of data structure in R, and perform data visualizations using the various graphics available in R.
Mastering advanced statistical concepts: The data science training course also includes various statistical concepts such as linear and logistic regression, cluster analysis and forecasting. You will also learn hypothesis testing. What you will learn in this data science course? Who should take this Online Data Science Training Course? Prerequisites: There are no prerequisites for this data science online training course. If you are new in the field of data science, this is the best course to start with. What data science projects you will work on during this course? The data science certification course includes ten real-life, industry-based projects. Successful evaluation of one of the following six projects is a part of the certification eligibility criteria. Amazon, one of the leading US-based e-commerce companies, recommends products within the same category to customers based on their activity and reviews on other similar products. Amazon would like to improve this recommendation engine by predicting ratings for the non-rated products and add them to recommendations accordingly. 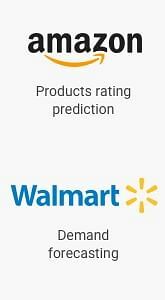 Predict accurate sales for 45 stores of Walmart, one of the US-based leading retail stores, considering the impact of promotional markdown events. Check if macroeconomic factors like CPI, unemployment rate, etc. have an impact on sales. 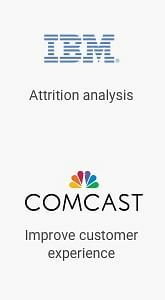 Comcast, one of the US-based global telecommunication companies wants to improve customer experience by identifying and acting on problem areas that lower customer satisfaction if any. The company is also looking for key recommendations that can be implemented to deliver the best customer experience. 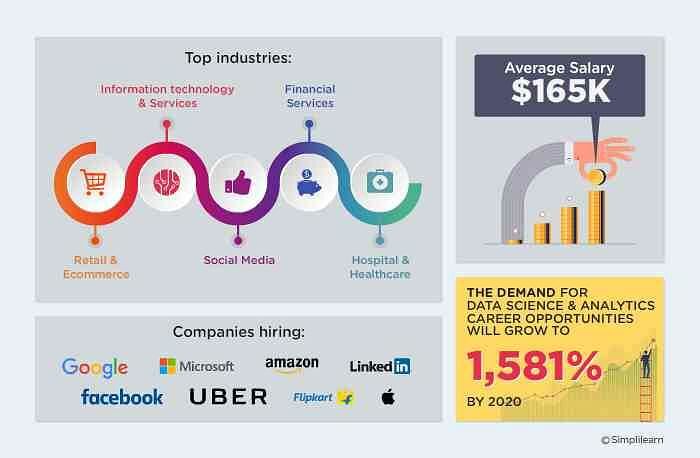 IBM, one of the leading US-based IT companies, would like to identify the factors that influence attrition of employees. Based on the parameters identified, the company would also like to build a logistics regression model that can help predict if an employee will churn or not. A nationwide survey of hospital costs conducted by the US Agency for Healthcare consists of hospital records of inpatient samples. The given data is restricted to the city of Wisconsin and relates to patients in the age group 0-17 years. The agency wants to analyze the data to research on the health care costs and their utilization. The data gives the details of third party motor insurance claims in Sweden for the year 1977. In Sweden, all motor insurance companies apply identical risk arguments to classify customers, and thus their portfolios and their claims statistics can be combined. The data were compiled by a Swedish Committee on the Analysis of Risk Premium in Motor Insurance. The Committee was asked to look into the problem of analyzing the real influence on the claims of the risk arguments and to compare this structure with the actual tariff. A high-end fashion retail store is looking to expand its products. It wants to understand the market and find the current trends in the industry. It has a database of all products with attributes, such as style, material, season, and the sales of the products over a period of two months. The web analytics team of www.datadb.com is interested to understand the web activities of the site, which are the sources used to access the website. They have a database that states the keywords of time in the page, source group, bounces, exits, unique page views, and visits. An education department in the US needs to analyze the factors that influence the admission of a student into a college. Analyze the historical data and determine the key drivers. A UK-based online retail store has captured the sales data for different products for the period of one year (Nov 2016 to Dec 2017). The organization sells gifts primarily on the online platform. The customers who make a purchase consume directly for themselves. There are small businesses that buy in bulk and sell to other customers through the retail outlet channel. Find significant customers for the business who make high purchases of their favourite products. The course also includes 4 more projects for you to practice. Details of listener preferences are recorded online. This data is not only used for recommending music that the listener is likely to enjoy but also to drive a focused marketing strategy that sends out advertisements for music that a listener may wish to buy. Using the demographic data, predict the music preferences of the user for targeted advertising. You’ll predict whether someone will default or not default on a loan based on user demographic data. You’ll perform logistic regression by considering the loan’s features and the characteristics of the borrower as explanatory variables. Analyze the monthly, seasonally-adjusted unemployment rates for U.S. employment data of all 50 states, covering the period from January 1976 through August 2010. The requirement is to cluster the states into groups that are alike using a feature vector. Flight delays are frequently experienced when flying from the Washington DC area to the New York City area. By using logistical regression, you’ll identify flights that are likely to be delayed. The provided dataset helps with a number of variables including airports and flight times. After successful completion of the Data Science - R Programming training, you will be awarded the course completion certificate from Simplilearn. No, this course is not officially accredited. How do I pass the Data Science - R Programming course? Pass the online exam with a minimum score of 80%. How long does it take to complete the Data Science course? It will take about 40 hours to complete the certification course successfully. How many attempts do I have to pass the Data Science - R Programming course exam? You have a maximum of three attempts to pass the Data Science - R Programming certification exam. Simplilearn provides guidance and support for learners to help them pass the exam. How long is the Data Science - R Programming course certificate from Simplilearn valid for? The Data Science - R Programming course certification from Simplilearn has a lifelong validity. If I fail the Data Science - R Programming exam, how, soon can I retake it? You can re-attempt it immediately. If I pass the Data Science - R Programming certification course exam, when and how do I receive my certificate? Upon successful completion of the course and passing the exam, you will receive the certificate through our Learning Management System which you can download or share via email or Linkedin. If I fail the Data Science - R Programming exam, how , soon can I retake it? 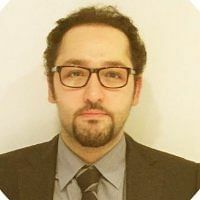 Named by Onalytica as one of the three most influential people in Big Data, Ronald is also an author for a number of leading Big Data and Data Science websites, including Datafloq, Data Science Central, and The Guardian. He also regularly speaks at renowned events. 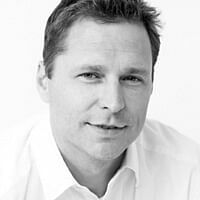 Simon is a Data Scientist with 12 years of experience in healthcare analytics. He has a Master’s in Biostatistics from the University of Western Ontario. Simon is passionate about teaching data science and has a number of journal publications in preventive medicine analytics. 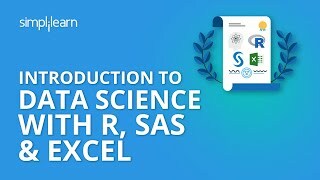 I took the R, SAS and Excel Course for Data Analytics. I was out of the workforce for a few months and had a background in statistics but I needed to refresh some skills before applying for jobs. Overall, the course was very strong. I liked how it was straight to the point without any bells and whistles. It often focused on concepts and the broader picture of learning. It spanned in complexity so one can kind push themselves to continue investing themselves in the subject matter at their own pace. They seem to really care that you want to learn and help you get there. In terms of ease of use and customer service Simplilearn was very strong. It is a matter of simply clicking your course and learning. The support team was great and responded to all my questions via live chat quickly, nicely, and easily. If I had one comment, I would say indicate on your settings when your course runs out. I also had trouble some trouble navigating screams on my surface pro but that was all minimal compared to the benefits. Would definitely recommend. Simplilearn has been a great help for me in my professional and academic progress. I have enjoyed taking their courses and can recommend them to anyone. Currently I have taken their Data Science course and I will now be looking into taking their CAPM program. Their tutors are also top-notch. It was Great!!! My tutors were phenomenal. I took a project overview class and it really helped sharpened my approach on how I world present my final project. The class has been great. I’ve done some self-study on Data Science but then realized that taking it as a course with experts would add some substance to my learning curve.I must admit that my decision to take it with Simplilearn has been the right choice. There is so much detail and hands-on practice in R, SAS and Excel in these classes during the training session. I continue to refresh my reading and benefit from group discussions from SimpliLearn. I’ll absolutely recommend to anyone to give it a try and take one class, and I promise you’ll get more than you expect in content and value." Excellent instructor with the ability to provide real world experience and insights. Emphasis on the tools along with practical and useful insights. It is not an easy course for those without programming experience, but it does take away some of the mystery and confusion associated with using these tools. Level of granularity. Tutor knowledge. Class size. Tutor's confidence, subject knowledge, and high level of commitment to student understanding of the material. Tutor assisted students who had issues with SAS installation. Great Tutor-Student interaction. My instructor is obviously a Pro at what she does. I wish I had someone around like her to mentor me when I was younger. Some of the technical aspects of the course are a little challenging, but the concepts for doing what is being taught is becoming clear to me. I hope this will make all the difference as I delve into the coursework even more. Great experience with the provider, enjoyed learning, very helpful application, and staff support. Good start for mastering R, SAS, and Excel. The trainer was extremely knowledgeable about the course content and provided in-depth explanations for all questions that were asked. Thanks to the Simplilearn team for all the support provided during the training process. I really loved the way Shubham elaborates the concepts, how he starts from the basics and then gradually picks up the pace. I believe that Simplilearn is one of the best online platforms for learning. I completed my Data Scientist course from Simplilearn and had a wonderful experience. The technical support was really great and I could get my labs up and running in a very short span of time. The course content was also really good, covering in-depth and also the projects, where one could easily apply the concepts learned. My instructor Shilesh gave me a lot of hands-on training and made us use the R-platform in ways that were practical and useful. It was indeed a good course. Sabyasachi Guharoy Solution Architect - Testing at Capgemini Technology Services India Pvt. Simplilearn is the awesome learning platform. The courses are very well designed and the live classes have personal attention in terms resolving the doubts. Thanks Simplilearn. Simplilearn's Data Science certification training was a good experience. The trainer is great and the content of the course is valuable. Thank you Simplilearn. You will need to download R from the CRAN website and RStudio for your operating system. These are both open source and the installation guidelines are presented in the data science course. Who are our instructors and how are they selected? All of our highly qualified trainers are industry experts with at least 10-12 years of relevant teaching experience. Each of them has gone through a rigorous selection process that includes profile screening, technical evaluation, and a training demo before they are certified to train for us. We also ensure that only those trainers with a high alumni rating remain on our faculty for data science online training. What training formats are used for this course? Live Virtual Classroom or Online Classroom: With online classroom training, you have the option to attend the course remotely from your desktop via video conferencing. This format reduces productivity challenges and decreases your time spent away from work or home. Online Self-Learning: In this mode, you’ll receive lecture videos that you can view at your own pace. We record the class sessions and provide them to participants after the session is conducted. If you miss a class, you can view the recording before the next class session. Yes, you can cancel your enrollment if necessary. We will refund the course price after deducting an administration fee. To learn more, you can view our Refund Policy. At the end of the training, subject to satisfactory evaluation of the project and passing the online exam (minimum 80%), you will receive a certificate from Simplilearn stating that you are a certified data scientist with R programming. Are there any group discounts for classroom training programs? Yes, we offer group discounts for our online training programs. Get in touch with us over the Drop us a Query or Request a Callback or Live Chat channels to find out more about our group discount packages. I’d like to learn more about this training program. Whom should I contact? What is the Expert Assistant Support provided by Simplilearn? Guidance on forum: Industry experts to respond to participant queries regarding technical concepts, projects and case studies. Technical Assistance: Queries related to technical, installation and administration issues in Data Scientist with R programming training. In cases of critical issues, support will be rendered through a remote desktop. Submit a request to Simplilearn through any of following channels: Help & Support, Simplitalk, or Live Chat. A teaching assistant will get in touch with you within 48 hours. What is online classroom training? Online classroom training for Data Science Certification is conducted via online live streaming of each class. The classes are conducted by a Data Science certified trainer with more than 15 years of work and training experience. If you enroll for self-paced e-learning, you will have access to pre-recorded videos. If you enroll for the online classroom Flexi Pass, you will have access to live training conducted online as well as the pre-recorded videos. Are the training and course material effective in preparing me for the Data Science - R Programming certification exam? Yes, Simplilearn’s training and course materials guarantee success with the Data Science - R Programming certification exam. After successful completion of the Data Science - R Programming Certification training, you will be awarded the course completion certificate from Simplilearn. * The projects have been built leveraging real publicly available data-sets of the mentioned organizations.